Size DOES Matter! 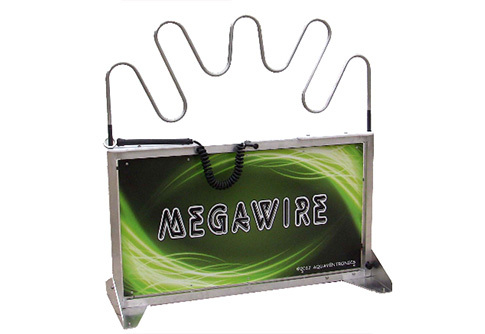 Megawire is the ultimate test of patience, whole body steadiness, and hand-eye coordination. Watch while players attempt to navigate the handheld ring through 12 linear feet of tube on this massive 4 feet tall by 4 feet wide game. Should they loose their concentration and make a mistake, the red light will turn on along with an audible buzzer. Add a second optional wand ring, and change between the two wand sizes for different skill levels. Runs off the included 12V rechargeable power pack.